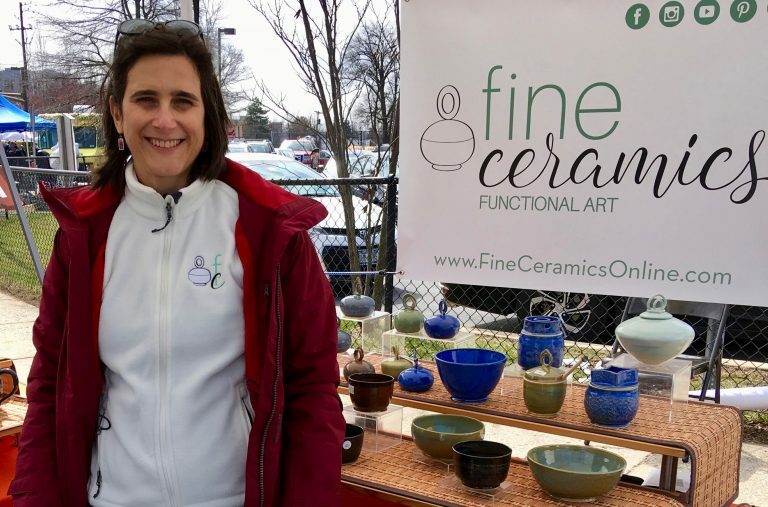 I’m thrilled that everyone who uses my pottery knows they are getting a unique handmade piece with a fine craftsmanship worthy of an art appreciator. You are the very reason I’m here showing my work. So let me tell you a little how my journey started. Before I created Fine Ceramics, I already had several years as an experienced potter and loved to attend arts and crafts shows. I always got inspired by the work I saw and dreamed to be part of such selective show. Then one day I thought I could very well make my dream come true. That was when I decided to create my own business in pottery with a refined finishing aiming a simple yet elegant style. I was concerned that building my own business would be very difficult due to financial resources. Materials are expensive and so are equipments and to build my own studio would cost a fortune. The studio I used to work upgraded the pottery wheels and sold the old ones for a bargain. I started working at home and that gave me more flexibility and extra time to perfect my work. However, I still had to fire the pieces at my local studio and that proved challenging because the transportation from my house to the studio kiln resulted in a number of broken pieces. So I resolved to save every penny to buy my own kiln and after a year of hard working I made enough to buy one. With my home studio all set, I challenged myself to create the most original, well built, high-end pottery for the most refined and sensible functional art lovers in the area. The road was more difficult than I imagined. The best places to sell my work were very expensive and I couldn’t afford to pay the high cost of applications, commissions and booth fees. In addition, there were not many bazaars or fundraising that I could attend, affordable venues were limited. The response from people who visit the markets and the gallery was incredibly positive, so I created this site to offer my work to a wider audience. Thanks to my faithful followers I have a steady business that I hope to keep growing to better attend every demand and always keeping in mind style, refinement and functionality.